Will Wednesday finally be the day the S&P 500 hits a new all-time high? 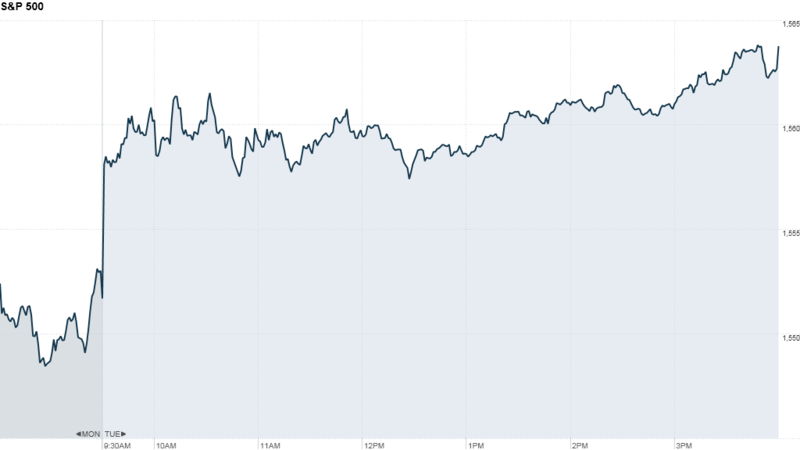 The S&P 500 is now less than 2 points away from its all-time closing high of 1,565.15. The blue chip index rose nearly 1% Tuesday, following better than expected reports about the U.S. economy and easing concerns about Cyprus. "I'm assuming we'll make new highs in the S&P 500," said Ben Schwartz, chief market strategist at Lightspeed Financial. He said the S&P 500 has been stuck in a trading range, but added that it could break out soon as companies begin to report first-quarter results. The Dow Jones industrial average gained 112 points, or 0.7%, to end at a record closing high of 14,559.65. The Nasdaq rose 0.5%. Beware the tumbleweeds on Wall Street. While it's encouraging to see stocks moving higher, traders noted that Tuesday's gains came on light volume, with many market participants out for Passover and others getting ready for Easter. U.S. and European markets will be closed Friday for the Good Friday holiday. The advance extends a rally that started late Monday, after a top eurozone official clarified a comment that a controversial bailout in Cyprus could be used as a template for other members of the currency union. The momentum accelerated Tuesday on reports that showed continued strength in the U.S. economy. The U.S. Census Bureau reported that durable goods orders rose 5.7% in February, driven mainly by aircraft and defense orders. This suggests the U.S. economy is expanding at a 2.5%-3% annual rate in the current quarter, said Alan Levenson, an economist at T. Rowe Price. Housing is hot. According to the S&P Case-Shiller index, home prices rose 8.1% in January from a year ago, marking the biggest year-over-year gain since June 2006. New home sales came in at an annual rate of 411,000 in February, down from January and below forecasts. But "conditions remain favorable in the housing market, with prices rising and sales volume still on an upward trend," said Jim Baird, chief investment officer at Plante Moran Financial Advisors. The Conference Board's consumer confidence index came in at 59.7 in March, which was below expectations and lower than February's reading. But a reading above 50 reflects optimism. Overall, stocks are poised to go higher as investors who have been waiting on the sidelines continue to look for opportunities to get back in, said Joe Bell of Schaeffer's Investment Research. "People want to buy the market as it breaks new highs," said Bell. "There could still be pullbacks, but we see any pullback as a good buying opportunity." Europe not out of the woods yet. Meanwhile, investors continue to monitor the turmoil in Cyprus but consider the situation with a new sense of calm. Cyprus' banks will remain shut until Thursday to give regulators time to guard against a run on deposits. Some form of capital controls will be applied when the banks eventually reopen. European markets ended higher, recovering some ground lost Monday when bank stocks were hit by concern that the Cyprus bailout could serve as a model for future eurozone rescues. Shares of Banco Santander (SAN) and Deutsche Bank (DB) continued to trend lower. 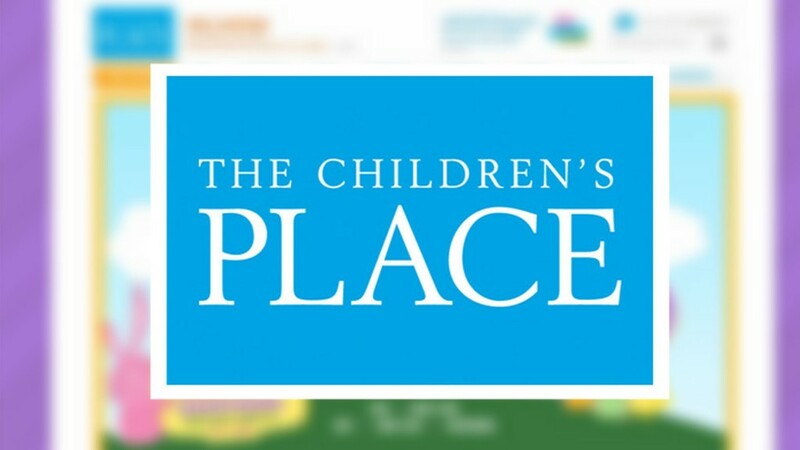 Children's Place (PLCE) reported that sales and profit jumped in 2012. But the company issued a weak forecast for the first quarter of 2013, citing "the unfavorable weather and weak macro-economic environment." The stock dropped 3%. In other corporate news, Boeing (BA) completed the first test flight for its troubled 787 Dreamliner since redesigning the aircraft's battery system. The dollar declined against the euro, but rose versus the British pound and Japanese yen. Oil prices edged higher, while gold prices fell slightly. The price on the 10-year Treasury fell, pushing the yield up to 1.93% from 1.91% late Monday.